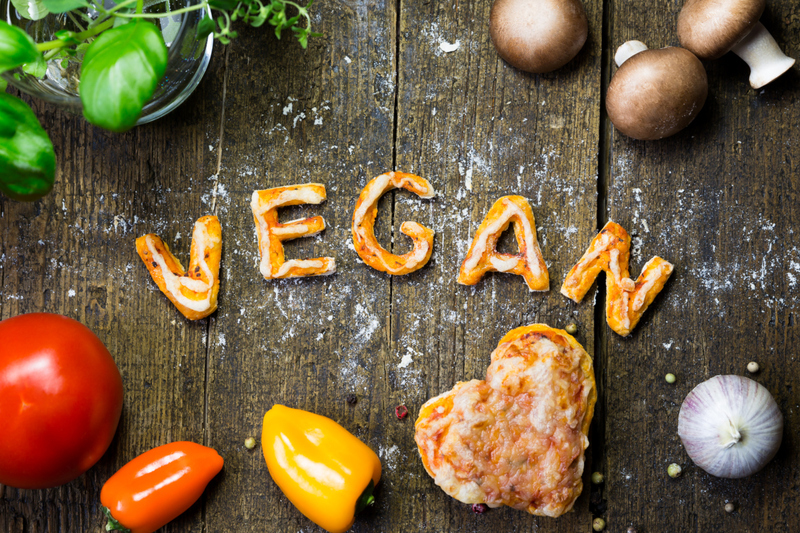 Veganism has become a trendy way of life in recent years. After Beyonce and Jay Z recently vowed to give away free concert tickets to their vegan fans, everybody is ready to go vegan! But free On The Run tickets aren’t the only reason I’m considering going vegan in 2019. After researching the many benefits of maintaining a plant-based lifestyle, I’ve become more comfortable with the idea of incorporating more veganism into my daily life. Here are 5 reasons why I just might go vegan in 2019. I have family members that have passed away due to diabetes and high blood pressure and as I get older I’m constantly reminded of how important it is for me to eat better than my ancestors did. 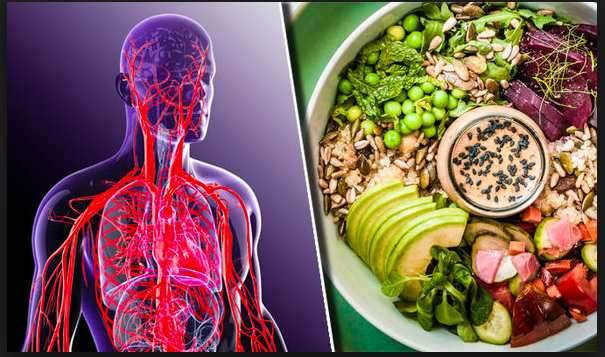 According to WebMD, researchers evaluated five dietary patterns and found that people who ate a plant-based diet most of the time had a 42 percent lower risk of developing heart failure over four years than those who ate fewer plant-based foods. “Eating a diet mostly of dark green leafy plants, fruits, beans, whole grains and fish, while limiting processed meats, saturated fats, trans fats, refined carbohydrates and foods high in added sugars is a heart-healthy lifestyle and may specifically help prevent heart failure if you don’t already have it,” said study author Dr. Kyla Lara, an internal medicine resident at Icahn School of Medicine at Mount Sinai Hospital in New York City. As for those suffering from Type 2 diabetes or at risk of the disease can also benefit from going vegan. A review published in June 2016 in the journal PLoS Medicine suggested that following a plant-based diet rich in high-quality plant foods may decrease the risk of developing type 2 diabetes, Everyday Health reports. Another study found that maintaining a vegan diet may also provide benefits if you already have diabetes, according to a review published in May 2017 in the Journal of Geriatric Cardiology. In recent years many major health organizations have stated that maintaining a well-planned vegan diet during all stages of life can help lower rates of cancer, high blood pressure, high cholesterol, cardiovascular disease, diabetes, strokes, and even Alzheimer’s. Often times a plant-based diet is more effective than medication and surgery when it comes to these major diseases. There are even videos on Youtube of people who claim going vegan cured their cancer. But for those looking to shed the weight can opt for a plant-based diet. According to research, vegans are the only group of people who average a normal and healthy BMI. This is because the more animal products people eat, the higher their BMI is. With animal products being higher in fat, the dietary fat ends up having more calories and is a lot easier to be converted into body fat than calories from carbohydrates. The overall calorie density of animal products leads to people overeating on them and gaining weight while loading up on potatoes and vegetables will allow you to stay pretty lean. I mean who doesn’t love animals. I’m not a big animal lover, but I can admit I do love nature and the idea of helping out our furry friends. Living a vegan lifestyle puts you at one with nature and other living beings because you’re not partaking in their slaughter. I kind of feel bad knowing how much I enjoy eating chicken and turkey when in all actuality those two animals don’t enjoy eating me! Most animals that we eat are completely innocent when it comes to the food chain. They’re herbivores who live their life off of plants and grains and eat little to no meat at all. But the inhumane slaughter practices aren’t just done to animals for meat eating purposes. Dairy and egg industries also do their fair share of animal cruelty. Dairy cows are reportedly forcefully impregnated and have their calves taken away and killed shortly after birth. Their milk is then stolen from them and a short time after they’re turned into hamburgers and cheeseburgers. The same goes for chickens who lay eggs that end up in our breakfast omelet. The guilt you could possibly feel from eating an innocent animal goes out the door when you agree to consume a more plant-based diet. According to World Watch, around 18-51 percent of man-made pollution on the Earth comes from the meat industry! This places factory farming in front of transportation when it comes to contributing to the nasty greenhouse effect. Studies also show that it takes about 40 calories of fossil-fuel energy to create every one calorie of beef in the U.S. When compared to 2.2 calories of energy needed to create plant proteins its safe to say that the meat industry is aiding in polluting the world. We’ve also seen in recent years the effects of climate change including the mass extinction of animals, melting of the ice caps, increased flooding, and natural disasters. If going vegan a few days out of the week can help reverse climate change then count me in! Research shows that dairy is not your friend if you have acne-prone skin. Reducing your intake of fatty foods (including all animal products, oils, and maybe even nuts and seeds) has been clinically shown to reduce the effects of acne. Increasing your intake of water-rich fruits and vegetables can help improve your skin and health due to their high amounts of vitamins and minerals. The fibers in fruits and veggies help with improving digestion and eliminating toxins which help to clear up your skin even more. Sounds like a win-win to me! Studies show that people who eat a plant-based diet tend to be in a healthier mood that includes less tension, anxiety, depression, anger, hostility, and fatigue. This is partially due to the fact that our bodies use more energy to digest meat than it does to digest plants, fruits, and grains. Living things also carry on energy and if I’m eating a piece of chicken from an animal who was most likely filled with stress and anxiety before taking its last breath, I can’t be too surprised by how frustrated I feel after lunch! When eating a diet low in fats and protein there are a number of beneficial effects it can have on our emotional and mental wellbeing. Healthful carbohydrate-rich foods, including brown rice, steel cut oats, and rye bread, help regulate serotonin levels in the brain. Serotonin is the part of our brain that controls our mood. So it only makes sense to consume more carbohydrate-rich foods to help cut out the negative vibes in our life. I don’t know about you but I’m manifesting greatness in 2019 and taking care of my body is a part of it. Now I’m not saying that I’m going full vegan, but the #MeatlessMondays that Beyonce is suggesting might be a good start. The True 100 is a lifestyle and entertainment news site focused on telling the truth, keeping it 100, and sharing media that matters. @2019 -Thetrue100. All Right Reserved.